The shield is on the right side of the screen and can be seen in most of the shoot as a blur, but at 2:22 the star becomes more visible, as for cap’s body… well, I don’t see any of it. I think you’re right Woo. And great job by the way: thums up! Shall only know for sure with the official release of the Incredible Hulk DVD I suppose. Check the post again to see the latest screen capture of Captain America: can even have a glmpse of his body below his shield! OK, I have found Captain America in one of the pics posted above. 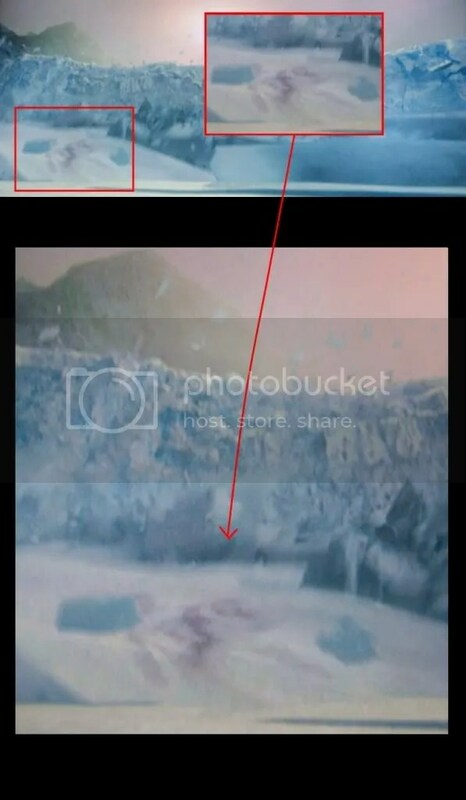 I took a quick glimpse, and then saved the image and outlined where you can see him. hey you’re right I was all wrong! but heck! I think in full speed video both shields are equally damn hard to find! hahaha!